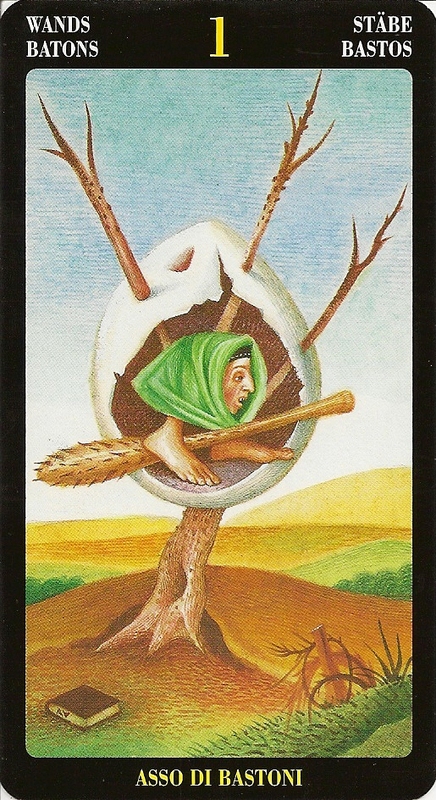 The Bosch Tarot by A. Atanassov is based on the work of Hieronymus Bosch, a Dutch painter who lived from 1450-1516. 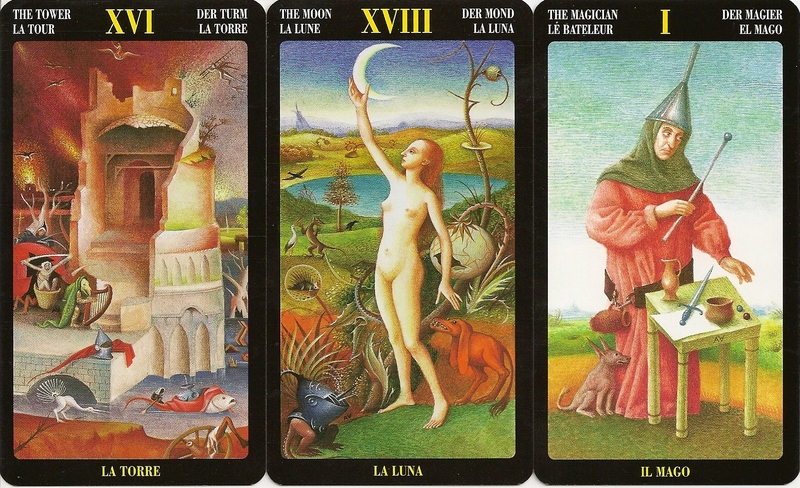 Atanassov has taken key figures and scenes from Bosch's works and modified them to fit the tarot, he has also added suit symbols to the scenes in the minor arcana . Many of the scenes of the cards are pieces from Bosch's "Garden of Earthly Delights". The backs are six art pieces in two rows and three columns and the same six inverted on the other side and therefore they are reversible.